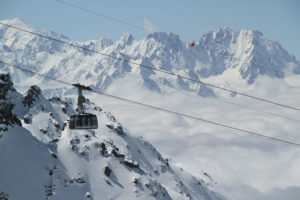 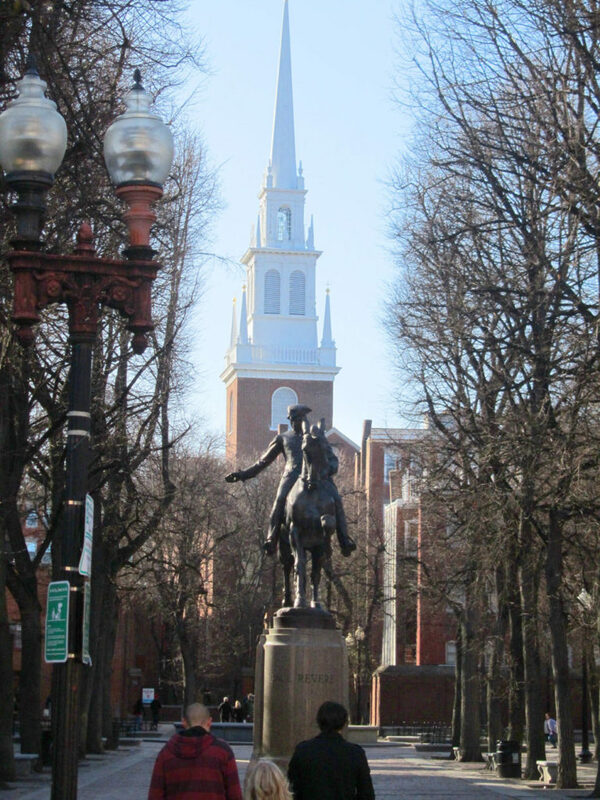 Nicknamed Beantown, for its baked bean tradition, there’s much to savor & explore. 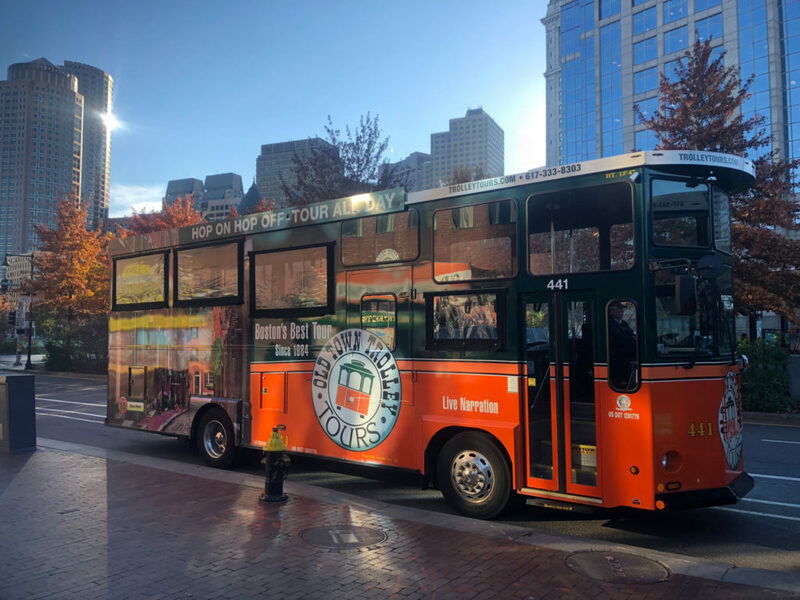 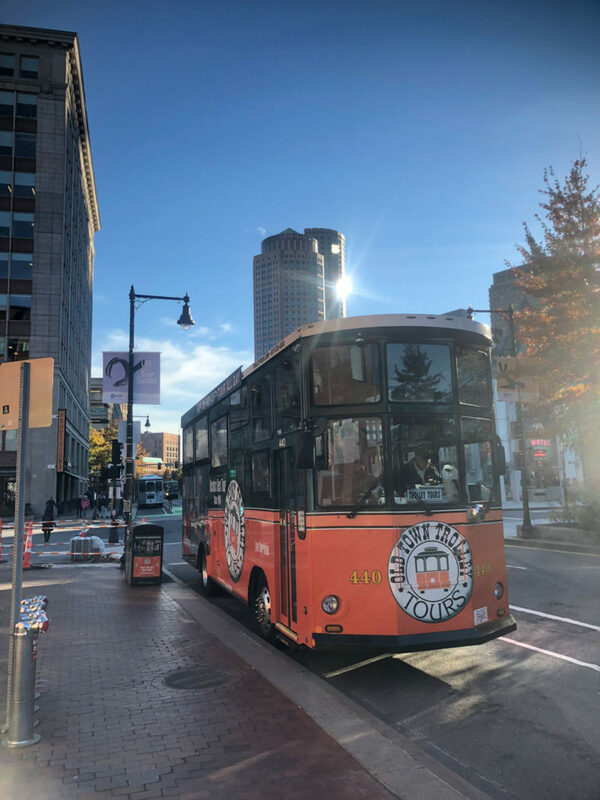 Boston is an incredibly walk-able from the waterfront, Faneuil Hall and the Old North Church to Boston Commons’ and chic Newbury Street, all the way to Fenway Park and the Charles River. 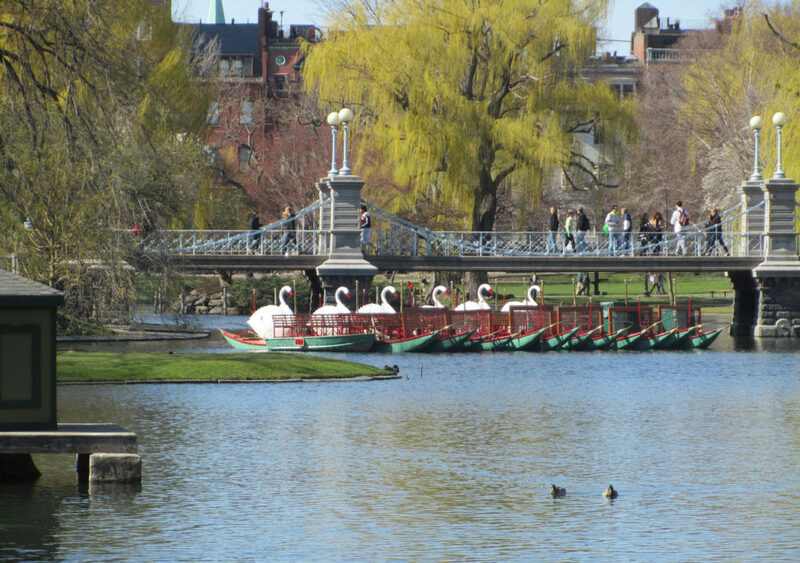 As the capital of Massachusetts and it’s largest city with over 600,000 people in the city proper, Boston is a must visit. Established in 1630, its one of America’s oldest cities – referred to as the Cradle of Liberty. 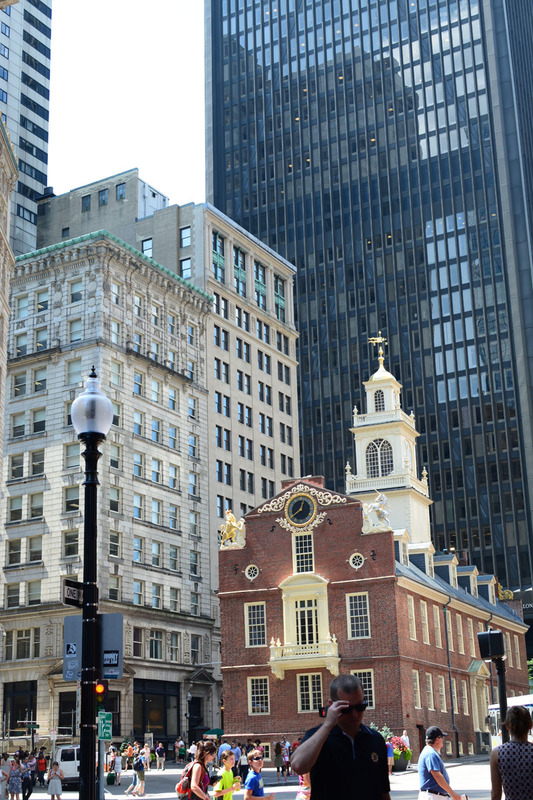 Boston was key to the colonists, in the Revolutionary War, and is a place of countless “first in the nation” accolades and artifacts, pilgrims to Patriots. 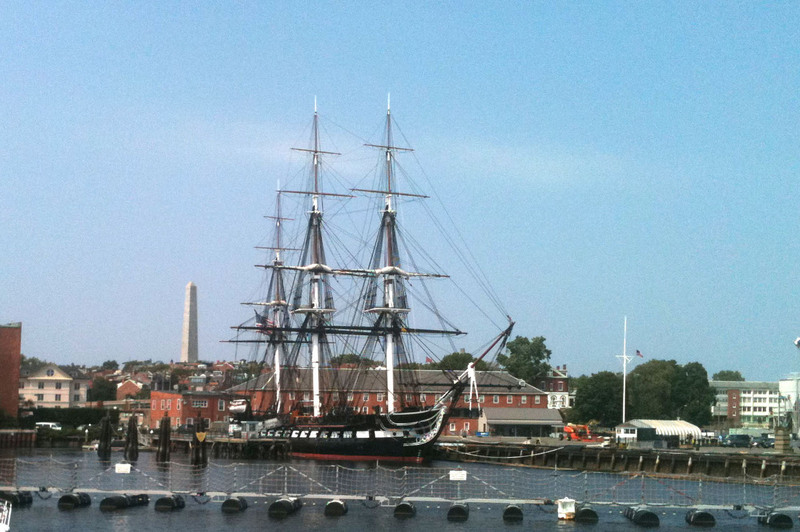 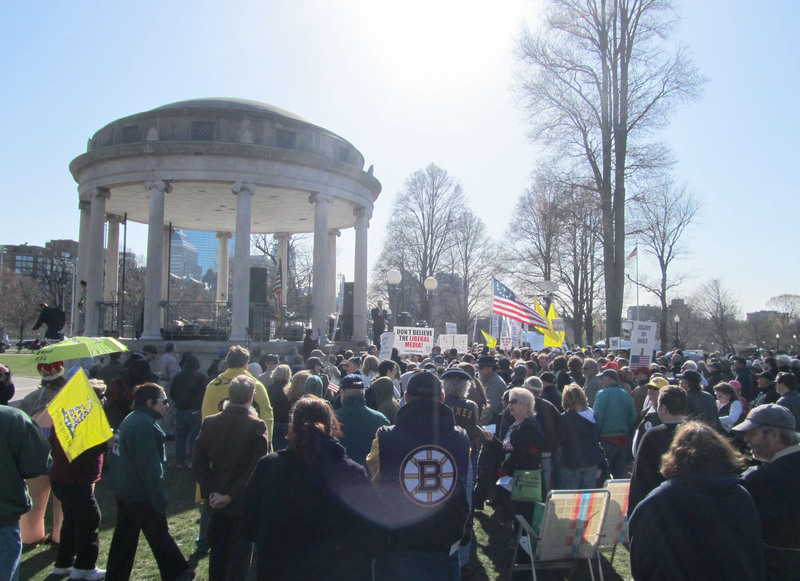 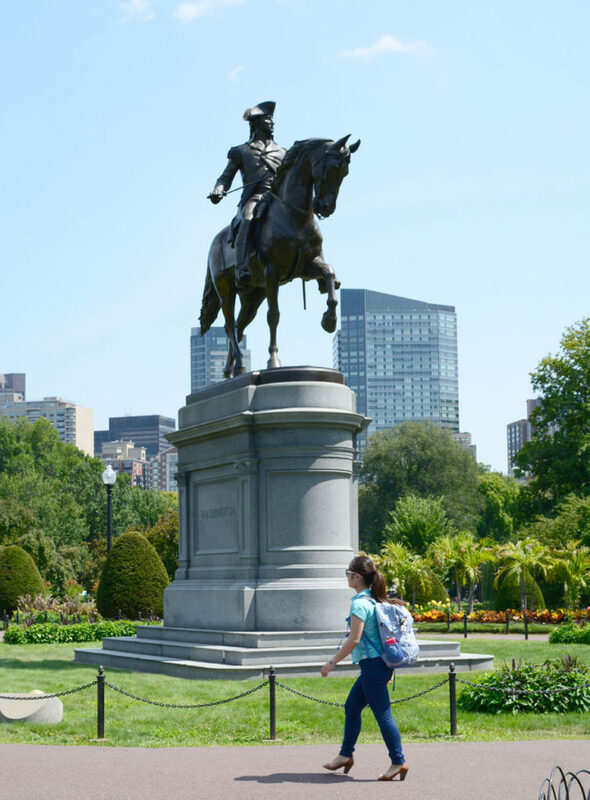 Walk the Freedom Trail. Start by going back to the origins of Boston, this 2.5 mile takes you to the most historic and revered sites of Boston, Faneuil Hall Marketplace, the Paul Revere House and Old North Church, the Old State House to the current gold-domed State House, even the USS Constitution schooner, even some fascinating old cemeteries – graveyards of Paul Revere, Samuel Adams, John Hancock, sixteen sights all tolled. 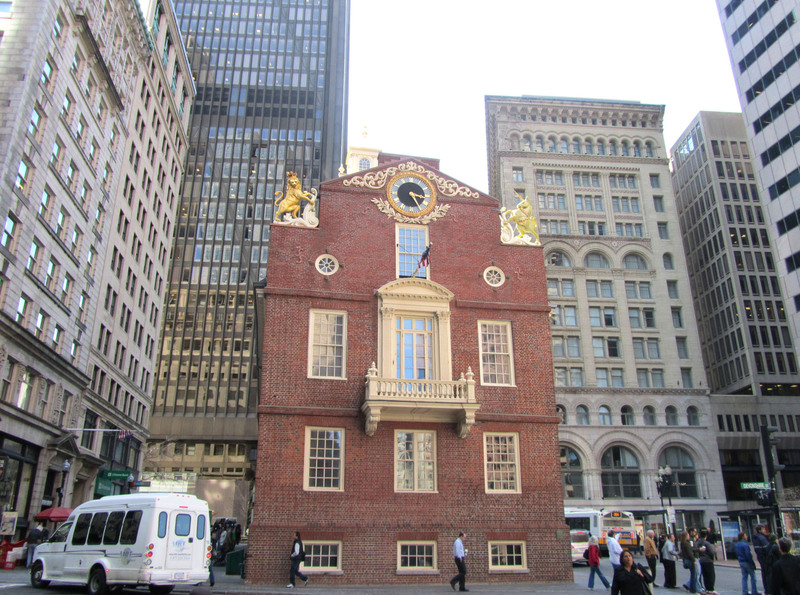 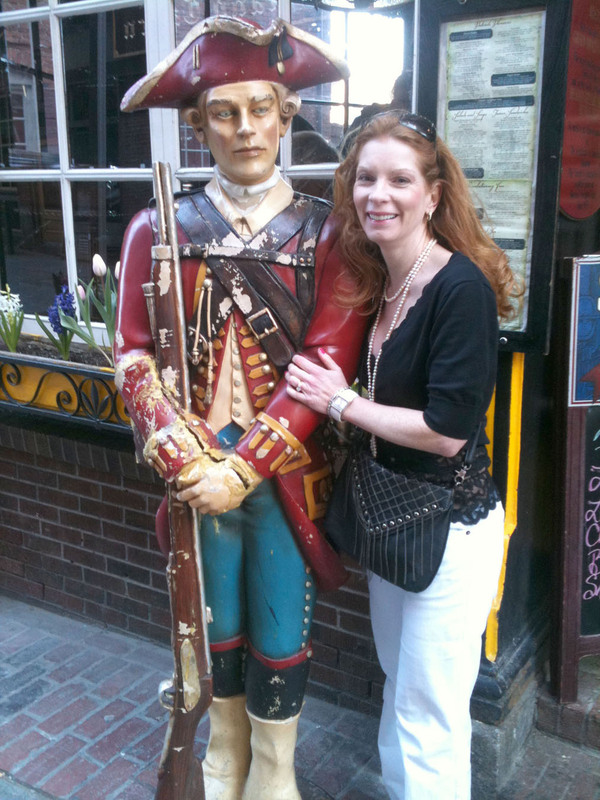 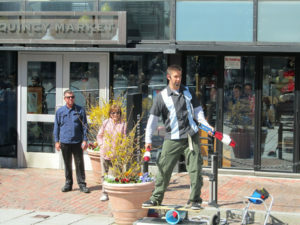 Take a narrative tour with freedomtrail.org, just follow a guidebook, or download the Freedom Trail app and ‘”DIY”. 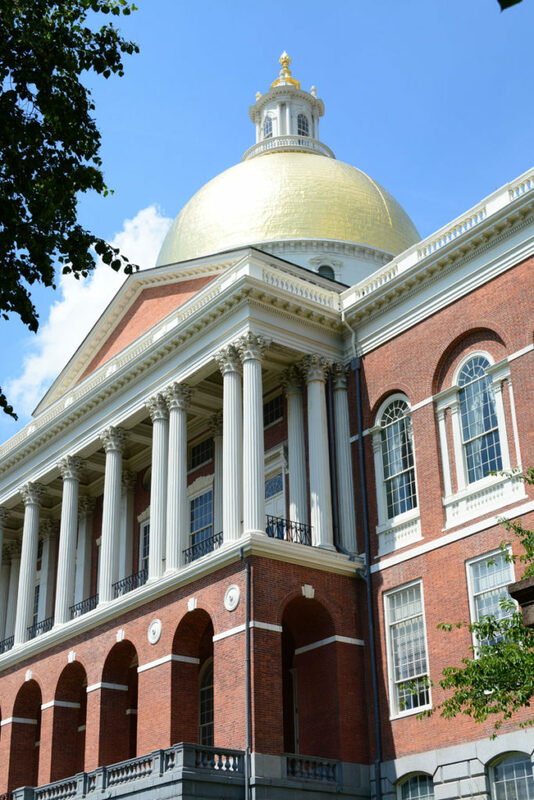 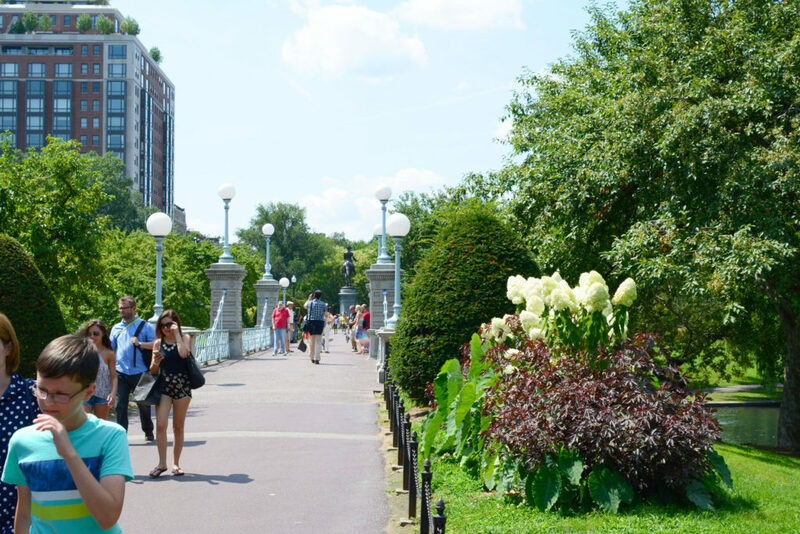 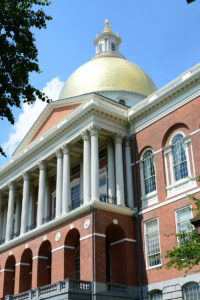 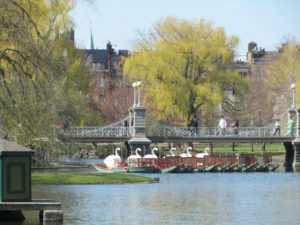 Visit Boston Common, once a 17th century cow pasture – now a casual park and place to relax, rent a swan boat, stroll Boston Public Garden, and enjoy the views of the current State House – called the Hub. 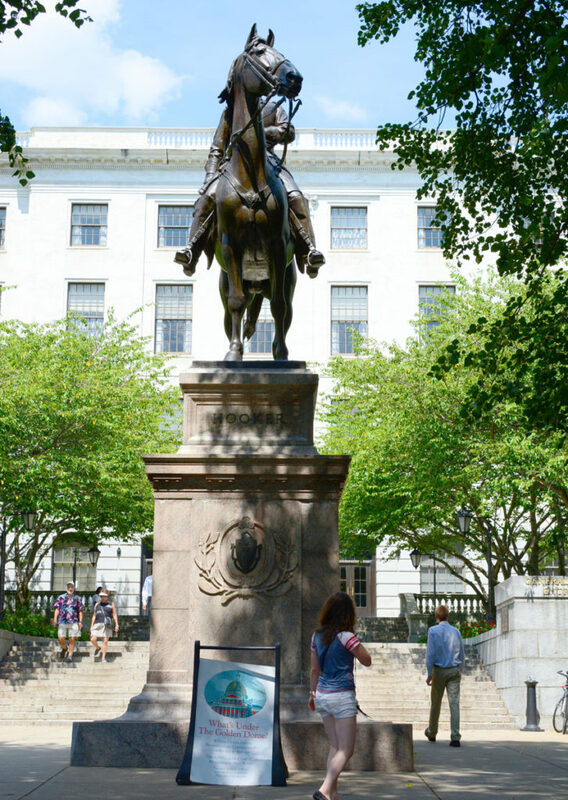 Take a selfie with one of the statues, George Washington or Robert Mc Closkey’s “Make Way for Ducklings”, in America’s oldest public park, circa 1634. 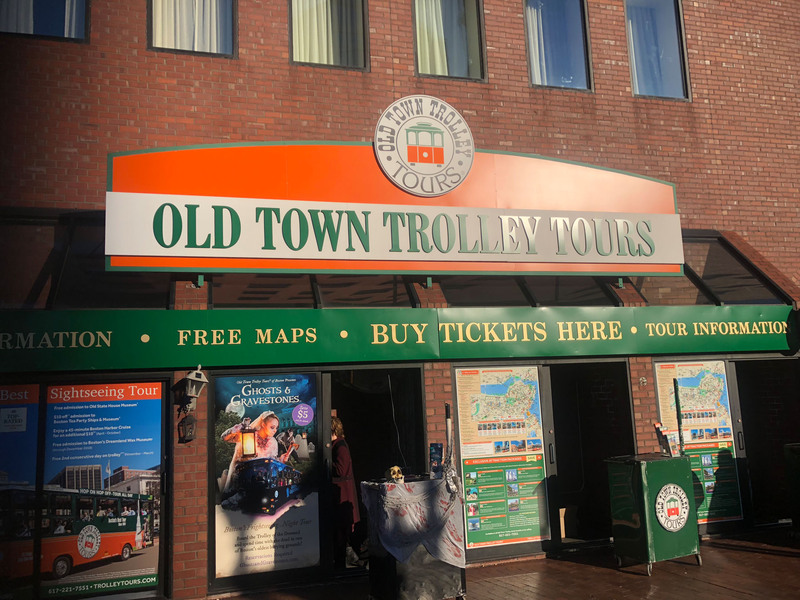 Tour and taste at Faneuil Hall – this Cradle of Liberty dates to 1740, as a marketplace and council chambers for the Revolutionaries and later – abolitionists. 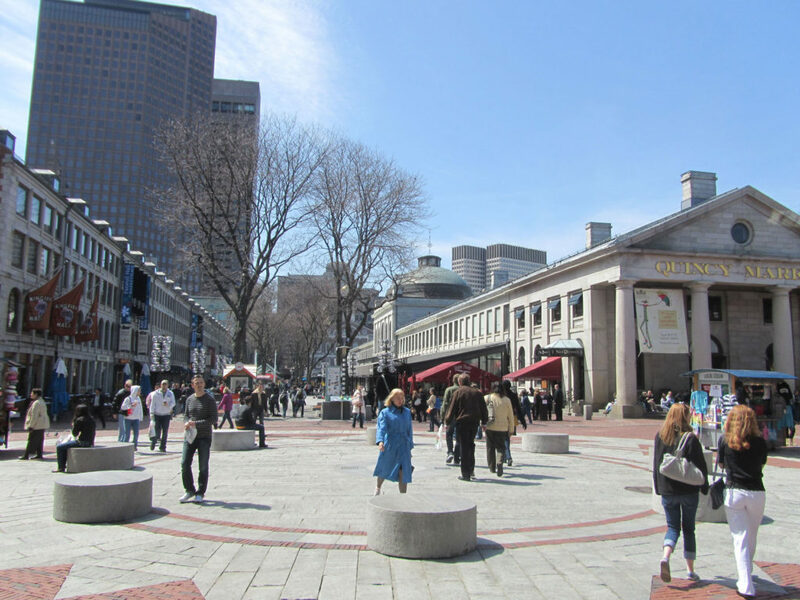 You can stroll the cobblestone streets and shops, and enjoy the inside markets of Quincy Marketplace where every New England food and fare imaginable is sold from authentic stalls in a grand colonnade with food carts serving Boston baked beans, clam chowdah, oysters, lobster, sweets and treats, and a favorite watering hole- Cheers – since 1895. 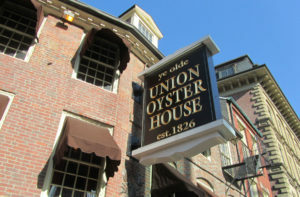 Lunch at Boston’s oldest restaurant Union Oyster House, 1826, on the Freedom Trail. Sit in a cozy stall booth, for chowder and corn bread, or have Oysters at the historic bar. 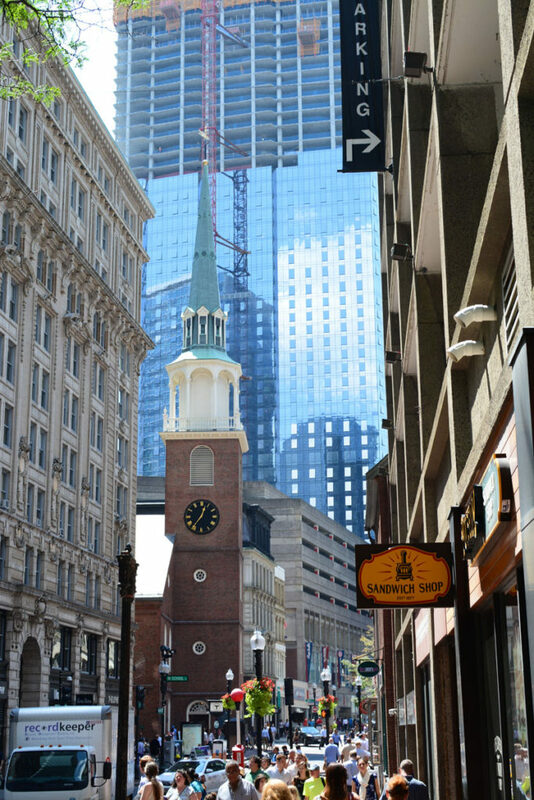 A year older, 1827 Durgin Park is the place for old fashioned Yankee cuisine, baked beans and prime rib, pot roast and Indian pudding, served at long banquet tables, elbows to elbow – its America’s melting pot. Boston Harborwalk is a cool way to see the waterfront, and stroll the attractive modern park, where once colonial shipping and trading took place. 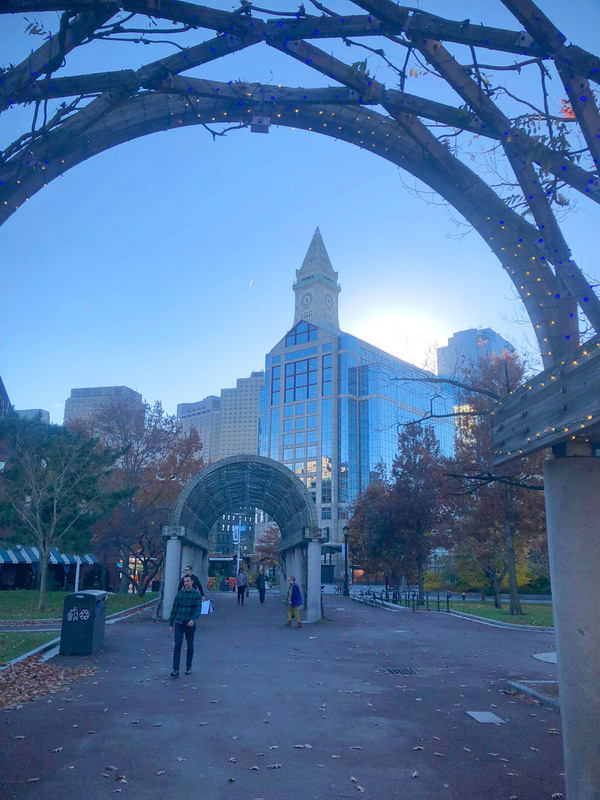 Harborwalk stretches from the Charles River to South Boston, passing Rowes Wharf where you can board a Boston Harbor cruise. 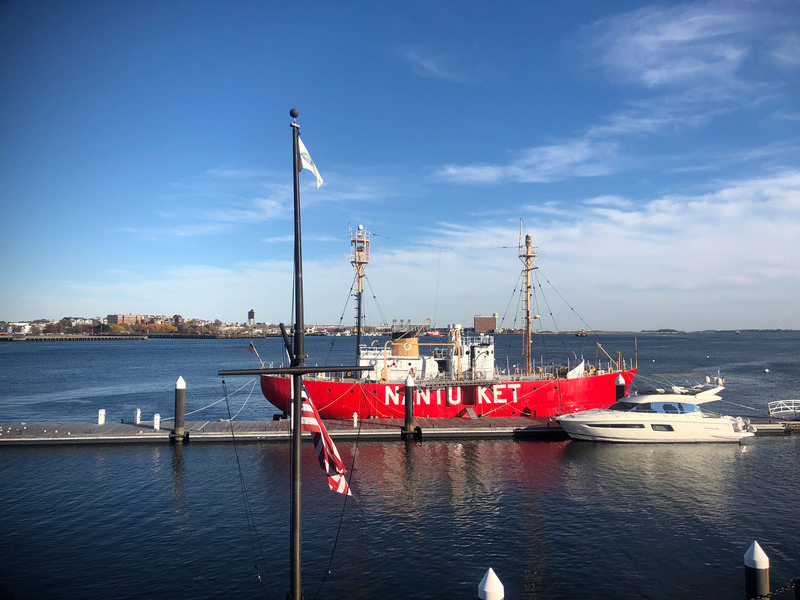 You can also walk to the newly revitalized Seaport District where the mod Institute of Contemporary Art reflects in the water, and the 1773 Boston Tea Party Ship replica sits and offers fun reenactments. 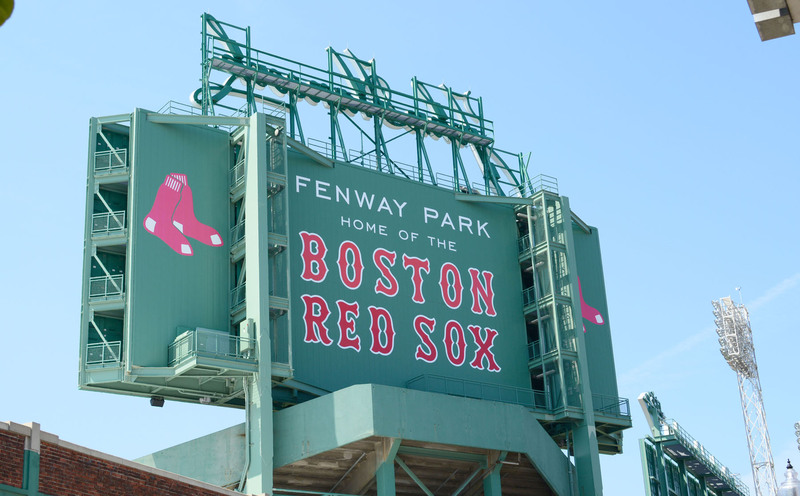 Go to a Red Sox Game at America’s “Most beloved ballpark” 1912 Fenway Park. Even if the Sox aren’t playing, you can see the quintessential ballpark, and the legendary 37’ Green Monster left field wall, by taking a tour of the home of Boston Red Sox at 4 Yawkey Way. 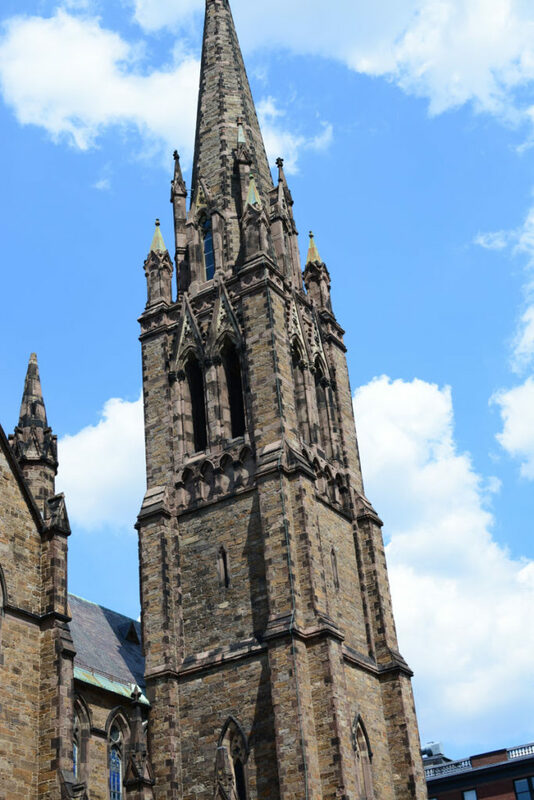 Boston’s prettiest neighborhood – Beacon Hill is the best place to stroll the narrow steep cobblestone streets and marvel at the bright brick Federal homes. This is a beautiful old neighborhood of Boston’s wealthiest families under gorgeous old tree canopy. 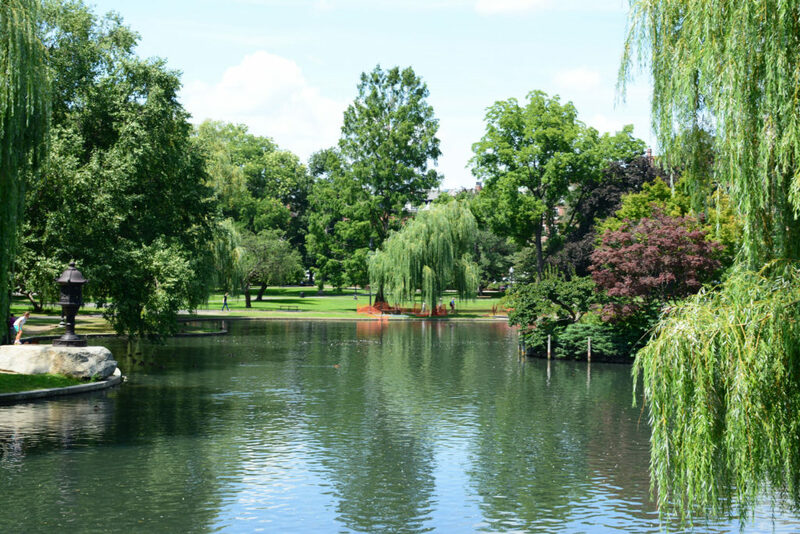 At Louisburg Square, classic Greek revival homes overlook a lovely park, including the author of “Little Women” Louisa May Alcott’s 1880 home. 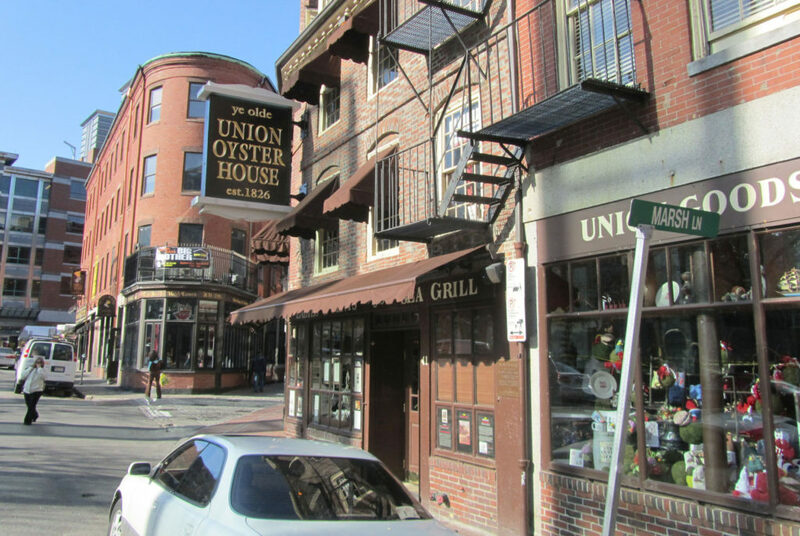 Quench your thirst at Beacon Hill’s Cheers – The Bull and Finch Bar was the inspiration for the 80’s TV show Cheers. 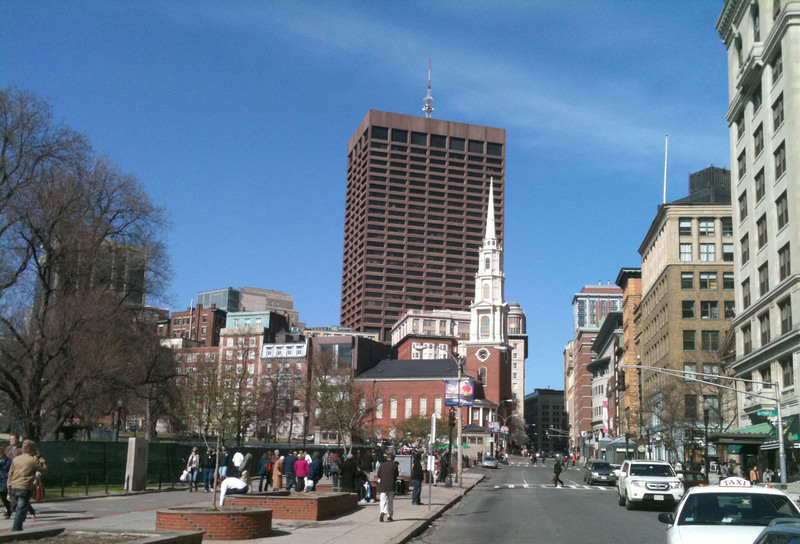 Have a pint at the 1969 bar, and you can pretend you’re Norm, where everybody knows your name. 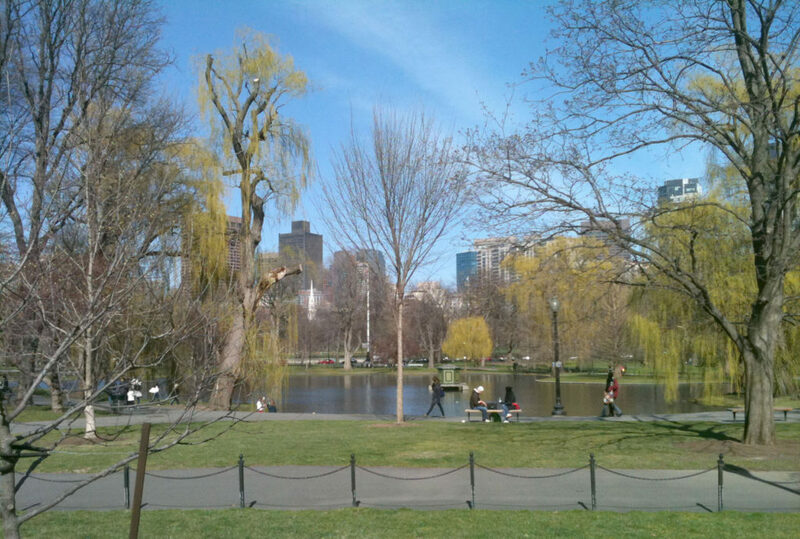 84 Beacon Street, overlooking beautiful Boston Public Garden. 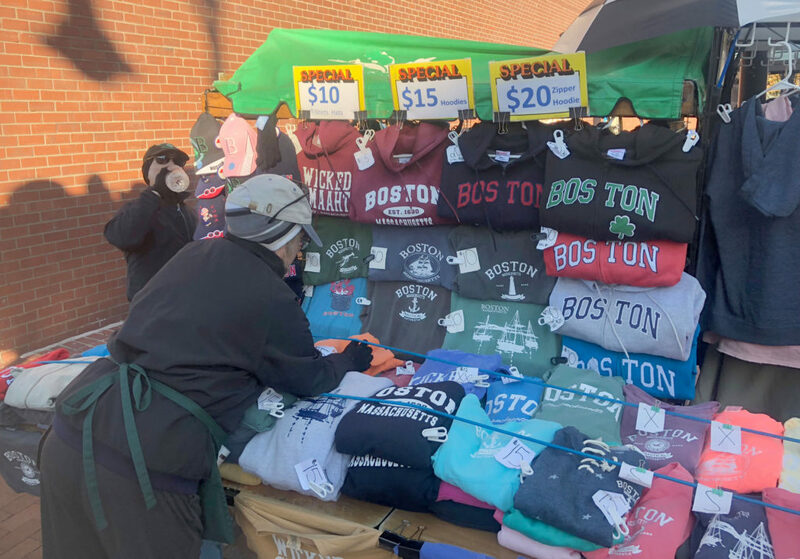 Shop Newbury Street – more historic and charming than Rodeo Drive, but home to some chichi boutiques and designer stores, this Boston avenue is delightful to visit, ideally with someone else’ AMEX. 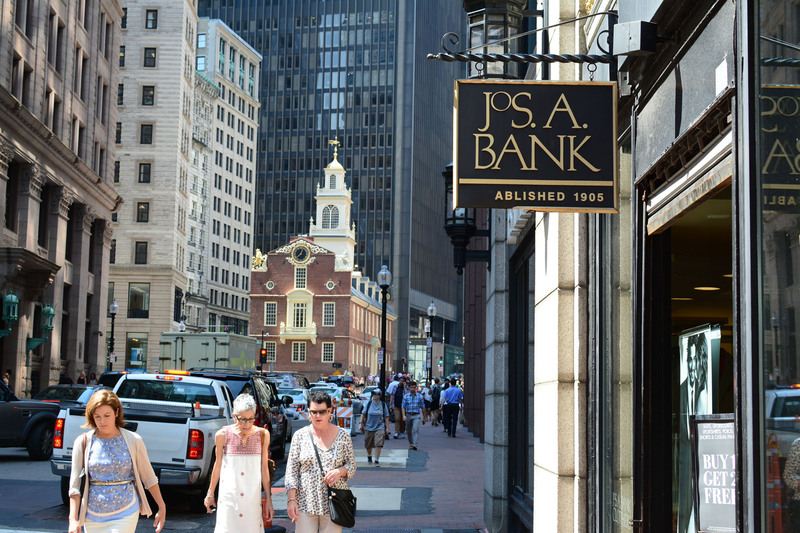 Sitting at a sidewalk café watching the preppy Bostonians come and go is a show. 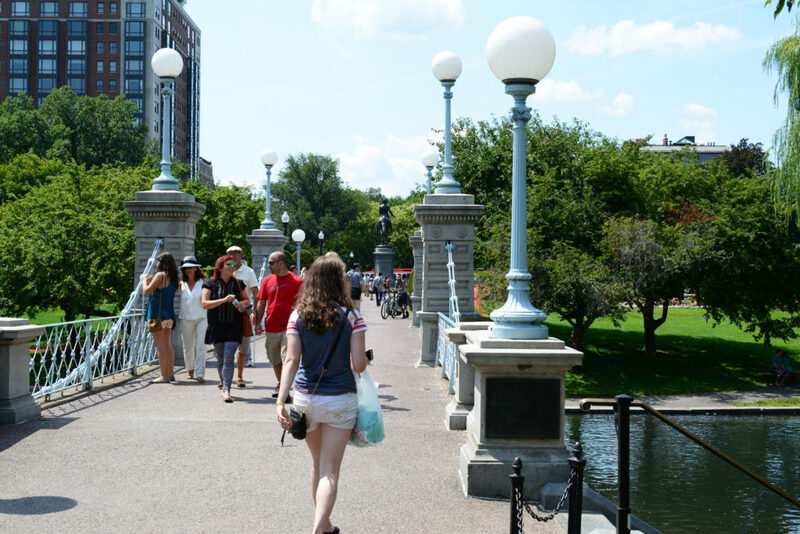 From here you’re a short walk to beautiful Copley Square and the renaissance Boston Public Library. 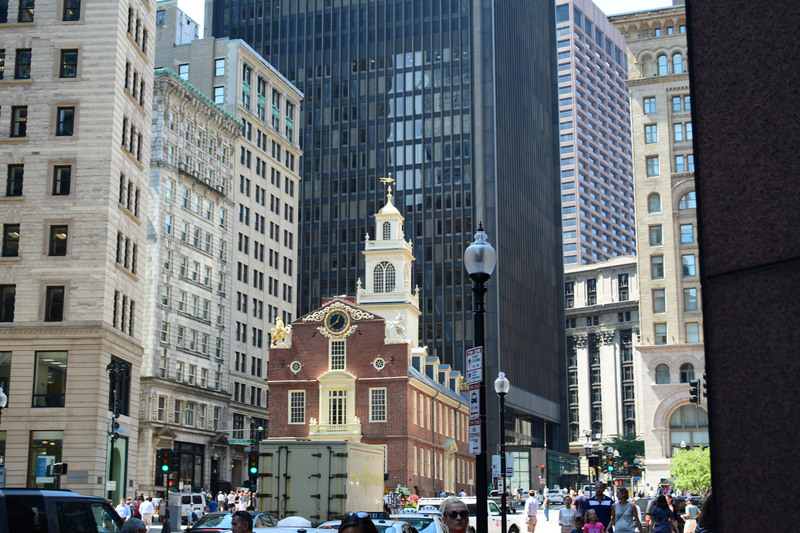 You can see the 52-floor Pru tower which you can go up – to a 360-revolving observation deck. 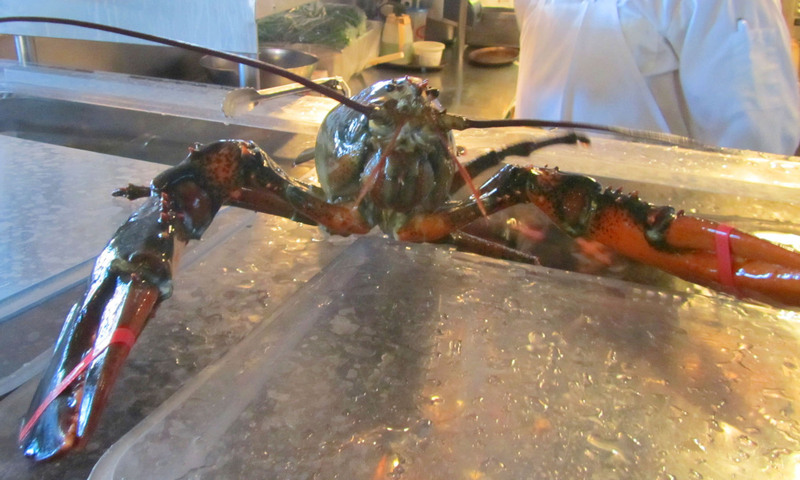 With kids, Boston’s New England Aquarium is a wonderful waterfront sea zoo kids will love. 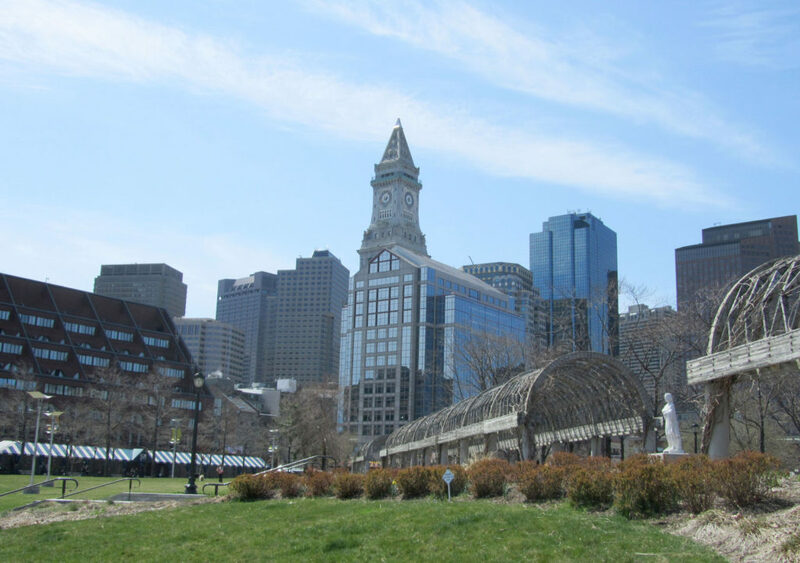 Boston Science Museum is another amazing collection of data, interactive exhibits, a planetarium and Imax theatre. 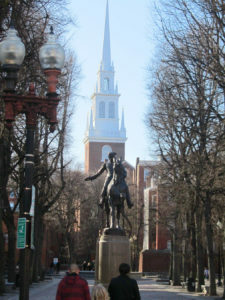 Dinner in Boston, go to the North End, little Italy of Boston. 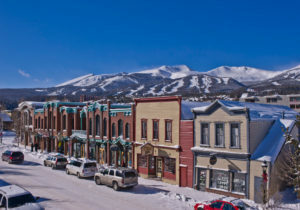 Here the sounds sights and smells of immigrants and Italian cuisine are pungent and bistros spill out on to the lively old streets. This is where Paul Revere lived in 1770, you can climb the Old North Church tower and see where lanterns were hung during Revere’s famous ride in 1775 warning The British were coming. 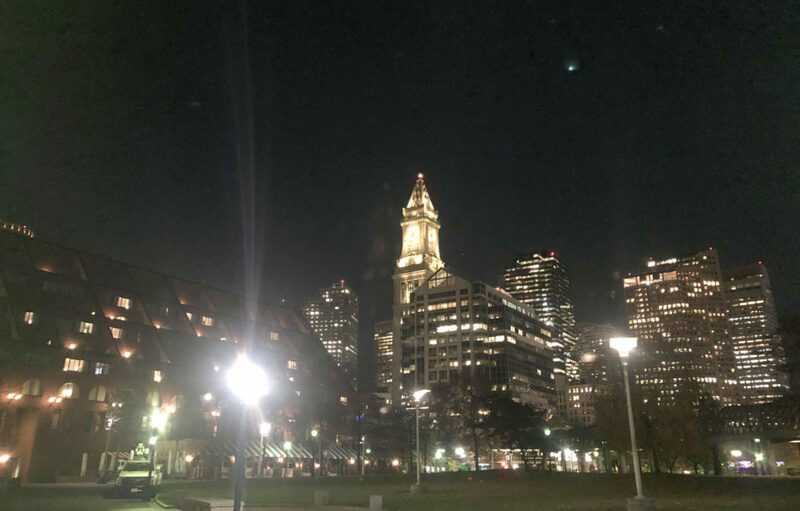 Where to stay in Boston? 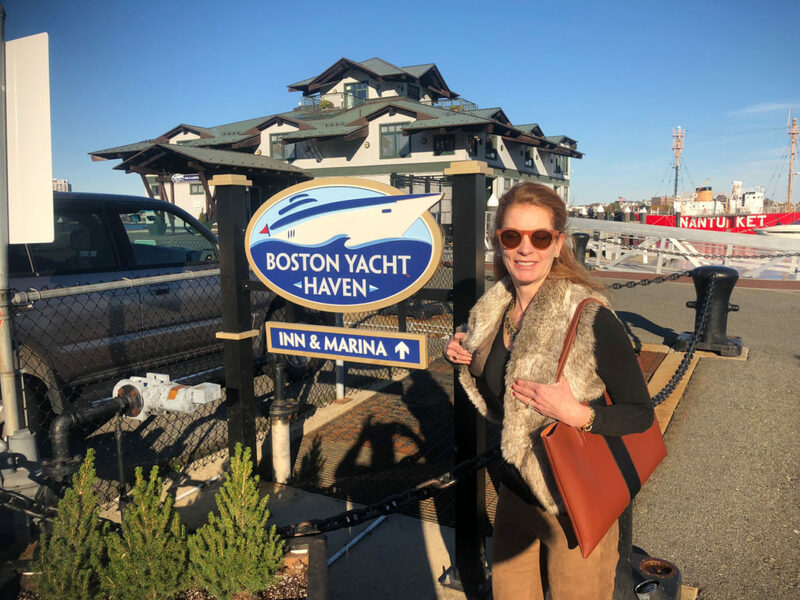 To be on the beautiful waterfront, close to Boston’s best attractions, Boston Yacht Haven Inn and Marina is ta fabulous waterfront boutique hotel. 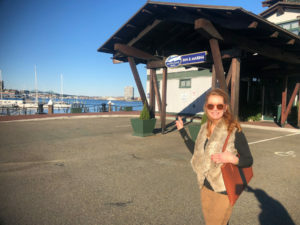 This unique peninsula property is surrounded by stellar views of the harbor and city, and offers its exclusive lodging guests and marina yacht visitors a top-shelf, catered-to experience. 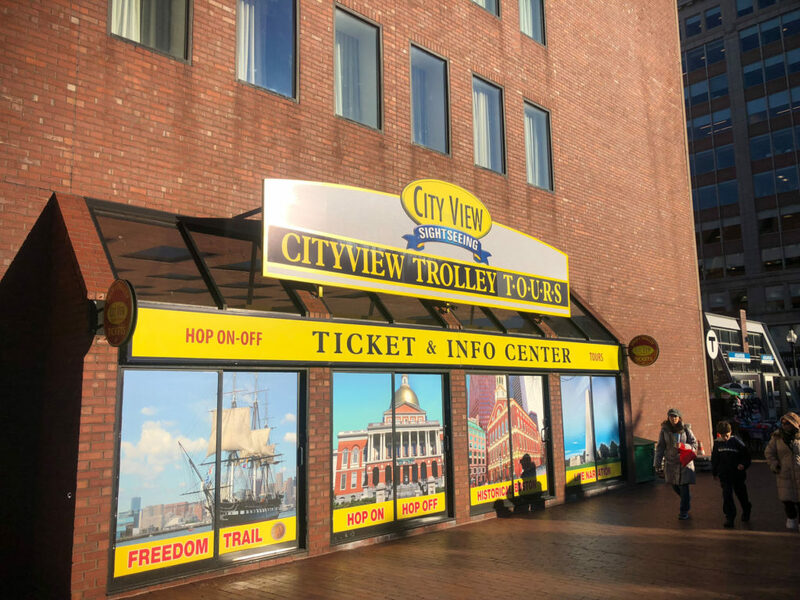 Suites are spacious and beautifully appointed, with commanding views of Boston Harbor. 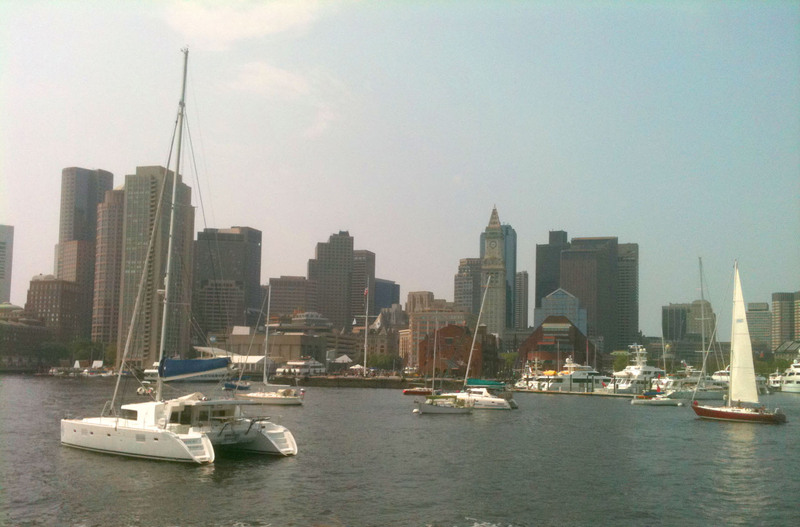 See our review of Boston Yacht Haven Inn and Marina. 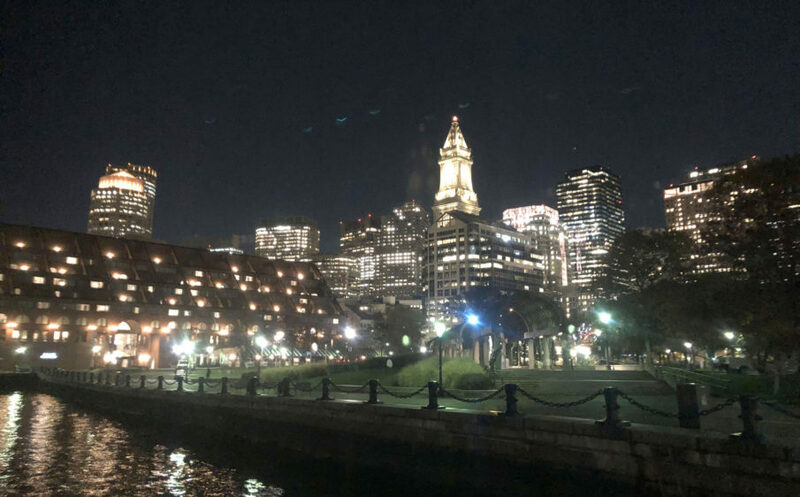 For ultra-luxe in the heart of the city, stay at Fairmont Copley Plaza, this 4-star elegant gem in Boston’s Back Bay is a revered symbol of Boston’s wealth and prestige. 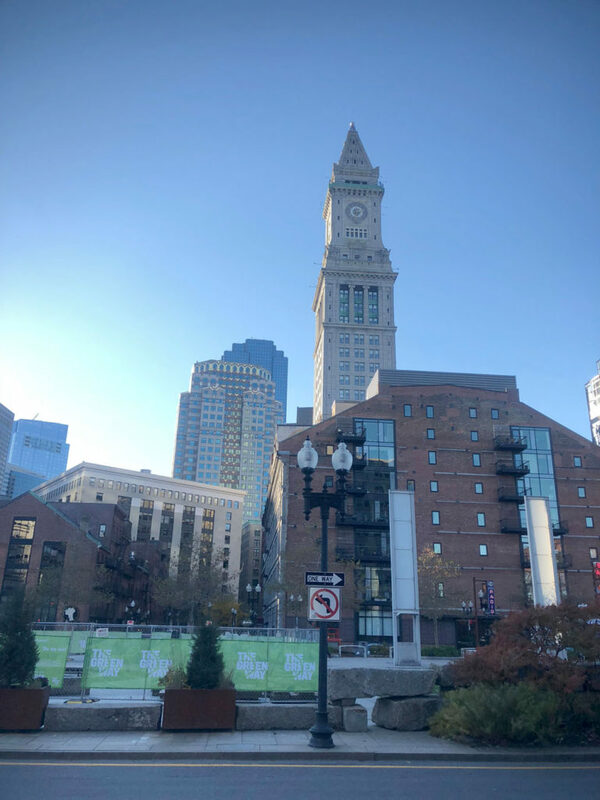 This 1912 luxury hotel was recently renovated with glamorous style, its location remains perfect – steps from Boston Commons, to chic shopping at Copley Plaza and Newbury Street.